I just got my first tattoo over the weekend. I really didn't know what to expect but Jeff was really cool about it and explained everything. Everyone in the shop was great. The pain wasn't too bad, but near the end of the session when he started to shade in the background, I thought I was going to die. I photoshopped a few pics together for a completed view. THAT is an awesome tattoo! 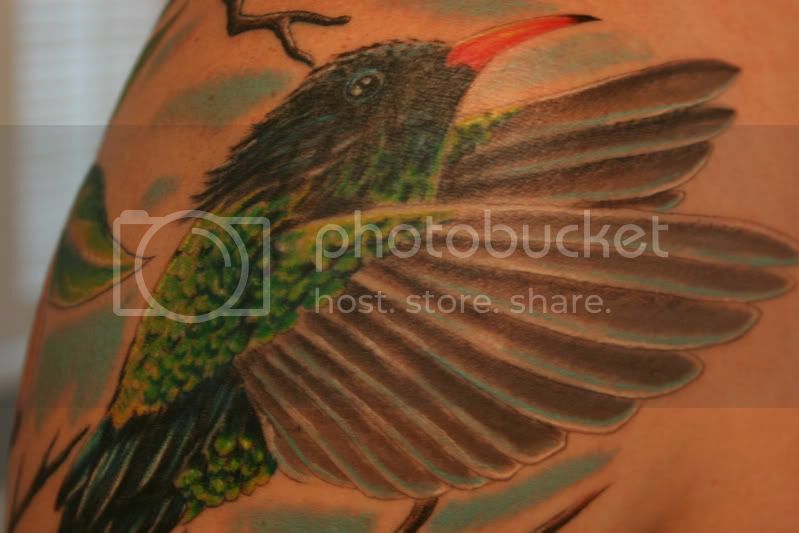 Jeff really does well with nature scenes and animals...he really does a LOT of things well, but I am always especially impressed with his nature/animal tattoo work. LOL. Yeah a chest piece is ninja level stuff right there. I'm not ready for that yet. Some guy was getting a koi on his ribcage while I was there. That looked like a whole lotta pain. Last edited by 561design; 07-02-2007 at 10:14 AM..
yep, once again AON is bringin it. Awesome work jeff. Thats totally killer. Jeff is definately an amazing artist..and his natural style stuff is prolly my fav stuff he does! Yeah, for many men the ribcage is the worst. Heck, none of it feels like a gentle breeze! That is a great first piece...now you started with the bar set so high, you have no excuses for ever getting a mediocre tattoo! Getting my chest tattooed was a breeze. 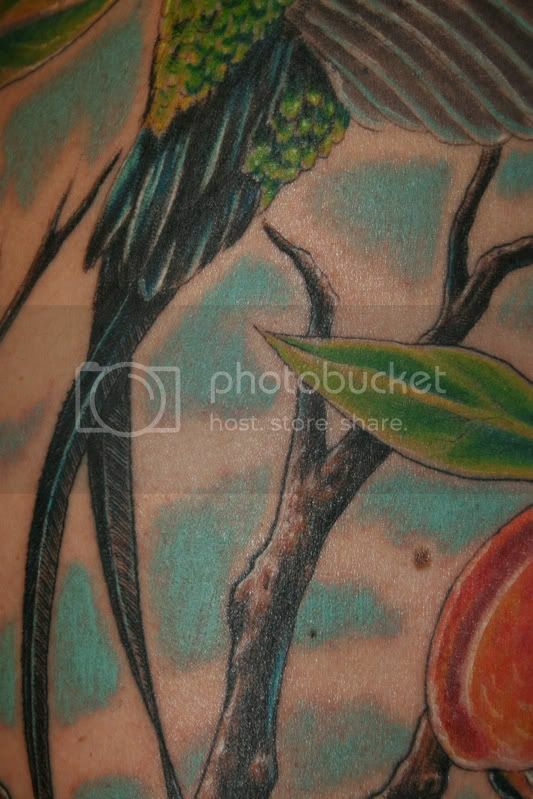 Josh has plans for my side, but i am a little nervous about getting sides/ribs done.. Who knows.. maybe soon we shall do it. And yes you've started off with a great first piece. 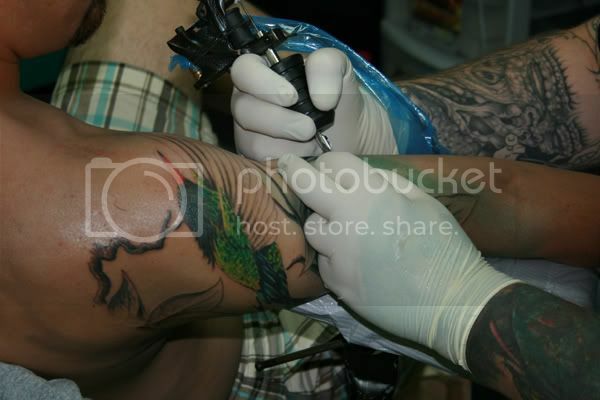 Welcome to the World of Tattoos with a bang! Yeah I'm already thinking about my next one. 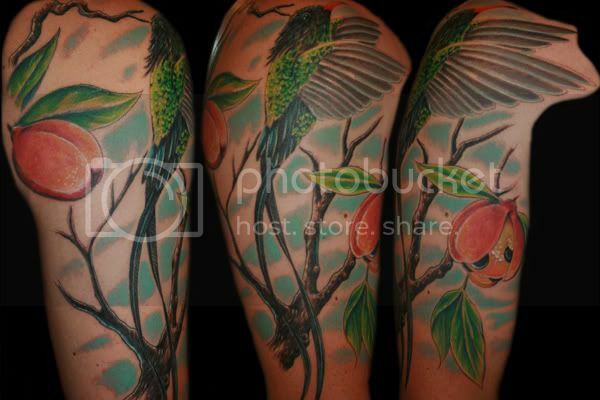 But my wife's cover-up/back piece is next on the list.